This last year has been a very interesting one to say the least and I’ve felt somewhat like a fish out of water for the better part of it when it comes to my camera system. For some reason or another late last year I got a wild hair to go all in on Mirrorless and sold off every single bit of my Canon gear just like that. Completely nuts, I know! (I had been primarily shooting Canon since I started photography nearly 20 years ago). I decided to jump into Fujifilm’s medium format system while also supplementing it with their X system for longer lens stuff. First off I’ll say that Fujifilm’s cameras are extremely fun to shoot and their lenses are superb in every respect. Their 50s medium format system is wonderful with incredible image quality, but certainly designed for a more specific type of photographer. Their X system is also great and well rounded for APS-C shooters, a good fit for photographers wanting to lighten their load. With that said, I really wanted to make Fujifilm work for me, but in the end my own particular shooting style along with their lens limitations of the medium format system and a few other issues with their X system (which I’ll touch on in a later post) had me back at square one. For my own shooting style I really needed a full frame sensor along with a mature lineup of zoom lenses and was determined to stay with a mirrorless system. After doing some more dipping of toes in the water I decided to take the plunge with Sony and to see what all the fuss was about. I picked up an A7rIII and an A9 with their entire lineup of G Master lenses as well as their excellent 12-24mm f4 G lens. I also added their wireless flash system and transmitter. 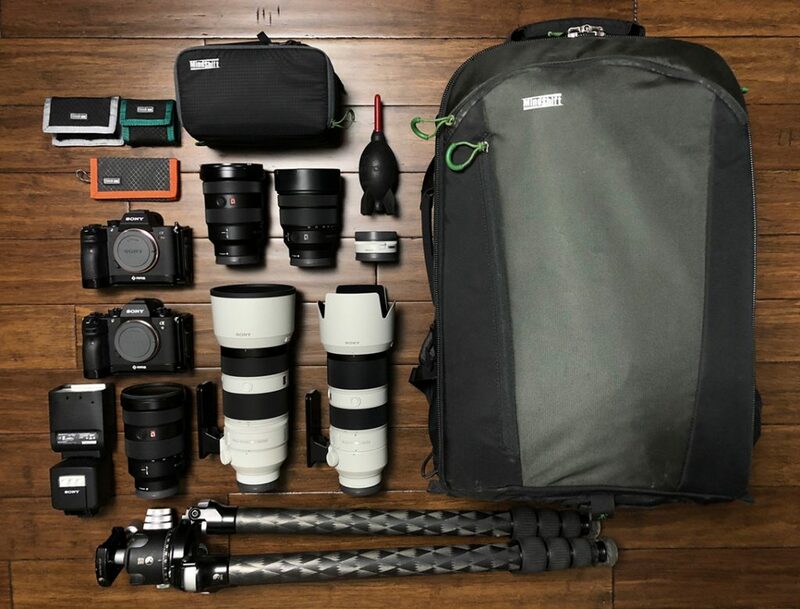 I received my full kit just in time for my upcoming workshop in Glacier National Park and what better place to test out a new camera system! I was able to spend time in the field evaluating the system with both landscapes and wildlife, really putting it through its paces. I’ve also had the opportunity to travel and shoot with it the last couple months so I feel pretty confident by now to make an overall assessment. 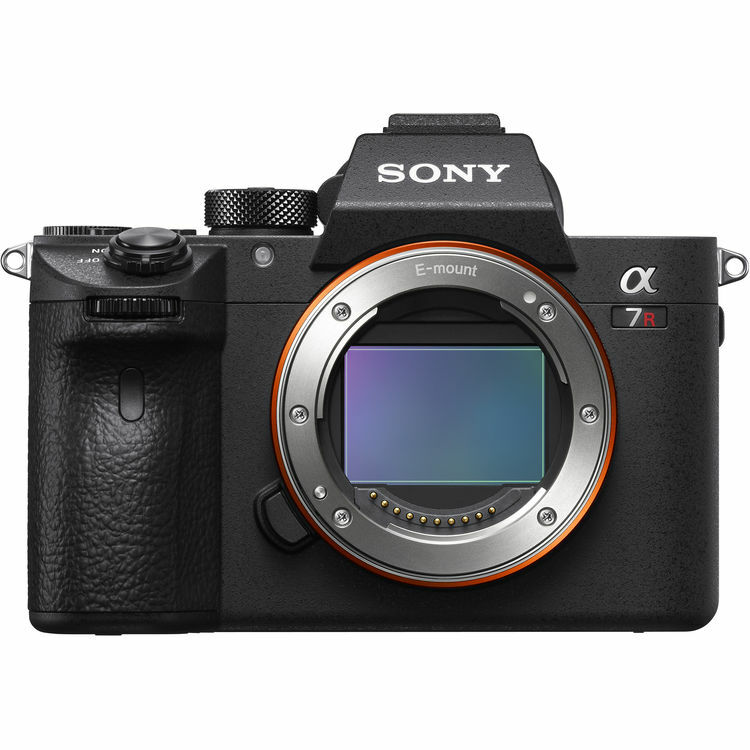 Here’s my take: Sony has developed a superb mirrorless system that rivals and exceeds anything I have shot with in DSLR’s and other mirrorless cameras. Their quality of design and performance deliver. So what’s it like to shoot? Here are a few of my thoughts on “real world use” of what I like, what can be improved and everything else. Right away I was impressed with the attention to detail and overall build quality on their bodies. The bodies are high-rigidity magnesium alloy, have fairly thorough weather sealing (I’ll touch on this in a bit) and have a button layout that works. The resolution on their viewfinders is as high as anything out there and looks great. I also like the tilt screen and quality of the back LCDs. So overall layout, viewfinder and aesthetics work well for me. The bodies are compact and much less in size to a DSLR. Battery life seems to be good and not too different then what I was used to with DSLRs. Although I will note that when shooting wildlife and constantly using the EVF for extended periods of time it can wear things down compared to DSLRs, nothing too bad but worth noting. An obvious issue with all mirrorless cameras. The camera feels very comfortable in my hand. However, without an L plate on the camera or bottom plate for that matter, I can see what some folks are saying about the ergonomics being a bit small for some people’s hands and how the pinky finger has nowhere to go when gripping the camera. I would agree with this, but I don’t see it as being terrible or completely uncomfortable. For me this issue doesn’t matter as I have Really Right Stuff L Plates on both bodies and with an L plate it’s a perfect fit giving a spot for all your fingers to rest. Also if you’re using a battery grip, it’s a non issue. I imagine Sony will address this with future releases as it’s a topic brought up frequently in photography forums. The cameras menu system is another area of contention, with photographers claiming that it’s confusing, unorganized and hard to navigate. I would say I agree with those sentiments for the most part. They could have done better and the way it’s currently laid out makes navigating to certain areas hard to remember. For instance every time I go to format a card I have trouble remembering exactly where to go and there are a few other much used options that take a little bit each time to find. This isn’t a deal breaker for me, but I do hope they improve upon this. The last negative I have with both the a7rIII and the a9 is the weather sealing. Both bodies are very well sealed on the top, sides, back, everywhere except the bottom. The battery door and bottom of the camera are not sealed at all. Why they did this I do not know. There are many photographers who have not bought into the Sony system on this one oversight and it kills me that a company designing a camera for professional photographers would make the decision to leave out a tiny little rubber seal. It’s certainly cost Sony some customers. Now this isn’t exactly a huge deal for most, but in today’s climate in the photo world, every little thing counts as competition has become rather fierce and photographers are ever more so demanding. But in real world use you are very unlikely to have a problem unless you’re setting your camera down in a puddle or really getting dumped on without a camera cover. This is probably the only thing that really bothers me on these cameras, but I’m willing to roll with it as I love everything else about their systems. We’ll see how they fair, so far so good though. I’ve had a few trips in the rain and some days shooting waterfalls in the mist and everything has worked just fine. Be sure to check out Roger Cicala’s teardown on Lens Rentals to get the whole lowdown. Impressive! That was my first thought when I was testing out their new glass. Great build quality and design. All of their G Master lenses feel solid and are tack sharp. Zoom and focal rings turn smoothly and have a feeling of quality. In addition all of the G Master lenses are fully weather sealed. The optics are really outstanding and coming from Canon I was surprised to see most of their G Master lenses producing better results then Canon’s equivalents. If you visit DXOMark you can view lens tests revealing some interesting comparisons with Sony. Most are out-resolving Canon and Nikon by just a hair. The first thing I noticed when I sat down to Lightroom was the dynamic range and proprietary color of Sony’s sensor. The dynamic range on the a7RIII is amazing and I find a lot more shooting situations where I’m only taking one exposure rather than two to blend or foregoing a graduating filter altogether. Very impressive indeed! The colors are also very good, although I will say out of all the camera systems I’ve used, I still think Canon has a leg up in this department, not that the Sony colors are inferior they just take a little more working in post processing to get me where I need to be. But I will say I am completely satisfied with the results and feel I’m getting better results at the end of the day. The other thing that I noticed right away with both cameras is their autofocus system. I don’t think I’ve every used anything quite like these. Even the 1DX’s I shot with don’t seem to match what Sony has done in some areas. The focusing for one never seems to miss. I’ve been photographing wildlife in difficult and very busy situations and the autofocus seems to work through and stays amazingly on point. Their autofocus is a huge selling point in my opinion especially with the face and eye detection. It never seems to miss and the technology although somewhat perplexing to me in how it works, is pretty incredible. I’m still amazed at how it does this, but it works! The other thing I really like is the overall feel of everything working together between the electronic viewfinder, customization of controls and construction. It really feels like a mature, professional Mirrorless system. I think we’ve finally arrived at the juncture where Mirrorless is a real viable choice for professionals. In the not too distant past, many systems I’ve used weren’t quite there, almost, but not quite. Many had a number of quirks, bugs, or just didn’t offer everything professionals need for their day-to-day work. With both Nikon and Canon’s recent announcement of their new full frame Mirrorless entries and Olympus, Fujifilm and Panasonic refining their systems, I think we’ve reached that point where mirrorless is there. Not to mention the options are now huge for photographers. Micro Four Thirds, APS-C, Full Frame and even Medium Format give photographers a ton of choices based on their shooting styles and needs. I’m extremely excited to be shooting Sony’s system and it’s working very well for what I do. I plan on posting a full review on both the Sony a7RIII and their A9 here soon. For now I’ll say not only am I completely sold on Sony’s system, but it’s hands down the best I’ve used of any camera system and fits my needs perfectly. I have absolutely no regrets leaving Canon for Sony and that’s saying something! I wonder if you have had the opportunity to use Canon glass with the Sony body? I am looking into the Canon EOS R, largely due to the investment I’ve made in EF lenses. Curious if the Sony adapter for EF works well. I haven’t personally used Canon glass on Sony, but I know many who have and as far as image quality goes, I don’t believe there is any loss, but it might be worth investigating more. The Canon mirrorless looks pretty good as well, but their dedicated lineup of lenses for it may take a while before they have a full system of lenses.